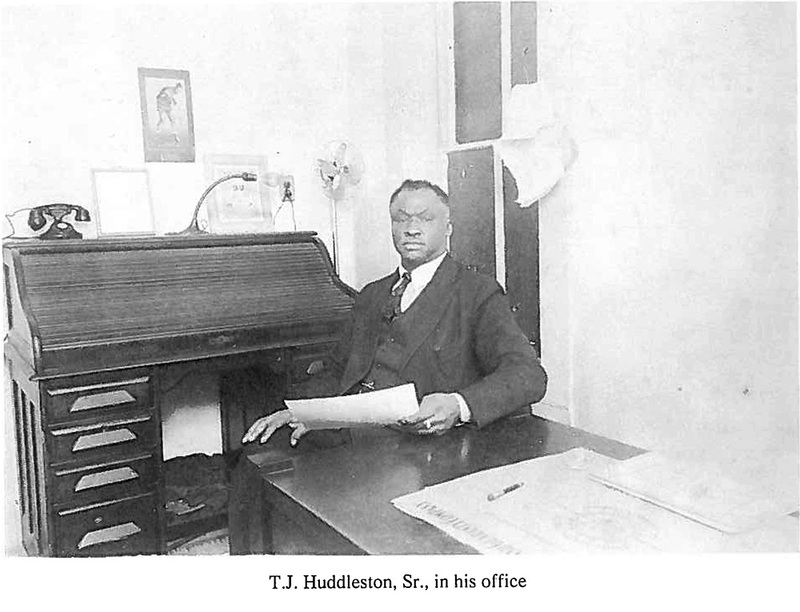 Home → African-American Heritage → T.J. Huddleston, Sr.
Yazoo City, Mississippi – June 1, 2016 – Today we remember the life and legacy of one great Yazooan, Thomas Jefferson Huddleston, Sr., born June 1, 1876. A great orator and salesman with a gift for captivating his audience, he started a chain of funeral homes in Mississippi. In 1924, T.J. Huddleston, Sr., founded the Afro-American Sons and Daughters, a fraternal organization in Mississippi and one of the leading black voluntary associations in the state. Organized in 1924, it had 35,000 members by the 1930s. In 1928, the association opened the Afro-American Hospital of Yazoo City, the first hospital for blacks in the state. Dr. Lloyd Tevis Miller (L.T. Miller), co-founder of the Mississippi Medical and Surgical Association (MMSA), the state’s largest and oldest organization representing African American health professionals, was recruited by Huddleston to serve as the facility’s first director. The hospital offered both major and minor surgery. The facility’s primary mission was to service its members but, given the lack of quality health care facilities available to blacks at the time, the hospital serviced not only individuals from Yazoo City and the Delta region but other parts of Mississippi and the South as well. The hospital serviced the area for 60 years, closing in 1970 after the civil rights legislation of the 1960s rendered it obsolete. The building was added to the National Register of Historic Places in 2006, and is currently on a list of 10 most endangered historic sites in Mississippi. Mr. T.J. Huddleston, Sr., was the grandfather of another of Yazoo’s famous sons, Mike Espy. Espy became Assistant State Attorney General from 1984 to 1985, when he was elected as a Democrat to the 100th Congress in 1986 from Mississippi’s 3rd congressional district. He defeated two-term Republican Webb Franklin to become the first African-American to represent Mississippi at the federal level since Reconstruction. He was reelected three times. Just 20 days after taking office for his fourth term, Espy resigned after being appointed Secretary of Agriculture in the Cabinet of President Bill Clinton. He served as Secretary of Agriculture in 1993–94. So is there any pictures of the hospital itself? Great History, knowledge is power, and Lord knows we as a people need to thrive for power” I was born in the Afro American Sons and Daughters hospital” Dr.R.Fullove’ also my mother was one of the original Civil Rights fighters, from Yazoo” Mrs.Lillian Love Young” Please continue to educate our people, God willing, I pray we began respecting and Loving each other, like I remember it as I was growing up in Yazoo City” Thanks for your hard work and will to educate our people, Respectfully” Larry D. Young !! I am the Niece of TJ HUDDLESTON.